Ford, Panasonic and Qualcomm are working with the Colorado Department of Transportation to test a new Cellular Vehicle-to- Everything (C-V2X) type of technology. The C-V2X technology is crucial to self-driving vehicles because it will alert the autonomous vehicles to everything happening around them, whether it is traffic, an obstacle or a pedestrian. This one of a kind collaboration is focused on Panasonic’s CityNOW headquarters in Denver. After the new C-V2X technology is tested on the roads around the CityNOW headquarters, it will eventually be tested on different stretches of the I-70 mountain corridor. This is the first big test for the C-V2X system nationally. 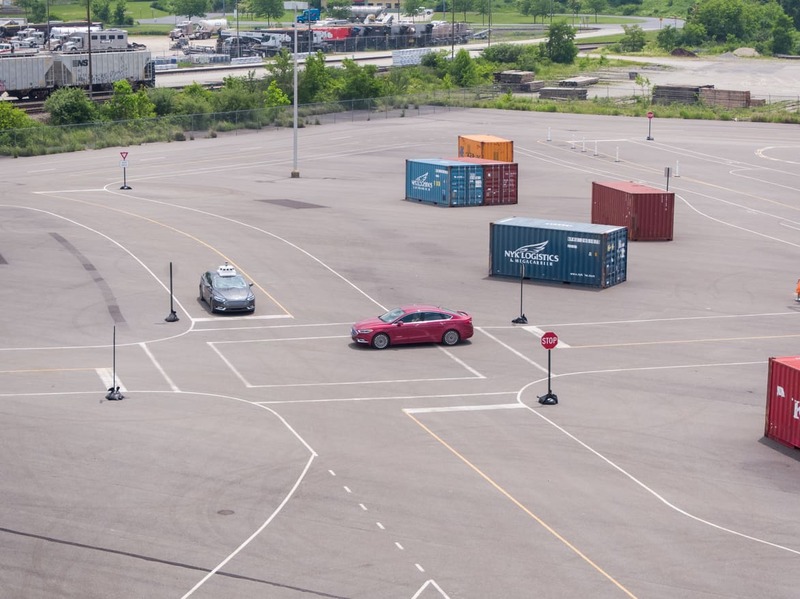 For now the test involves vehicles with drivers but the results can help Ford further develop its autonomous vehicles. CDOT’s fleet of Ford utility vehicles will be outfitted with C-V2X devices to enable vehicle-to-vehicle and vehicle-to-infrastructure communication. Panasonic’s connected vehicle data platform will send out the C-V2X data to provide road workers critical information. Roadside sensors will be able to pick up data from vehicles about a range of problems: Is traffic slowing down because of a traffic jam? Is weather changing or worsening? Are there accidents? That information can be immediately sent out to vehicles nearby alerting them to the problems and even offering other solutions, like different routes. The new technology could make road alerts almost instantaneous, because it eliminates the human middleman. CDOT wouldn’t have to wait for a worker to call in with the road conditions. Sensors would detect the ice or snow and communicate the danger to other vehicles, suggesting that the drivers should slow down. Ford has long advocated for “Smart Cities” which could be wired to connect with vehicles. For example, vehicles would be alerted when traffic signals are about to change, or when pedestrians step into crosswalks. C-V2X is designed to work with other Advanced Driver Assistance Systems like LIDAR and complement them. It will work on a different spectrum so it won’t rely on cellular coverage to work. Cell connections can be troublesome in remote areas, like mountains. Developing this technology is incredibly expensive and that is why it takes a huge collaboration to test it on a large scale. “Cross-industry collaboration is essential for C-V2X to reach its full potential and fully integrate into cities around the world,” said Nakul Duggal of Qualcomm Technologies. Even though installing technology like this on roads will also be expensive, Colorado is committed to staying on the cutting edge through its RoadX program.